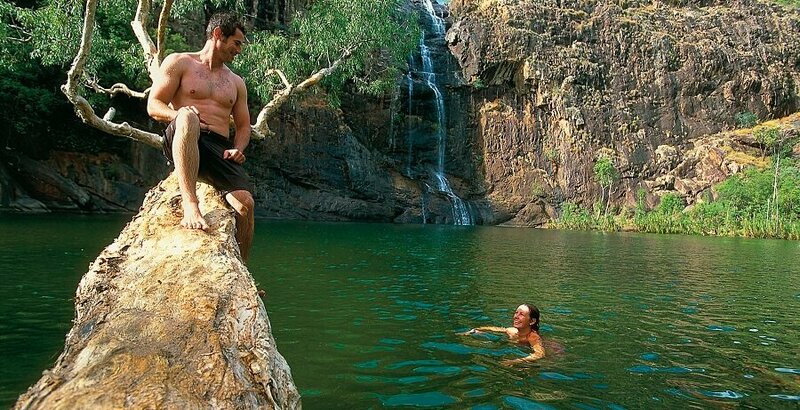 Discover the unique natural beauty of the Kakadu National Park and its surroundings on this 2 Day Kakadu Tour. 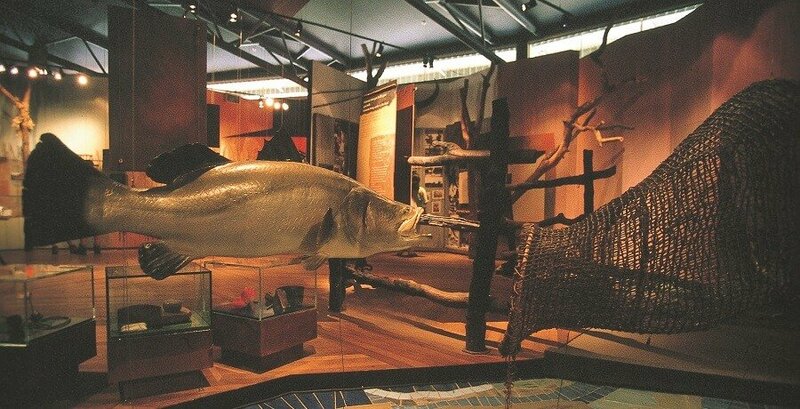 Dig deep into the cultural heritage and experience picturesque waterfalls and the local wildlife. We kick off day one of the 2 Day Kakadu Tour with a crocodile jumping cruise that lets you get up close and personal with these magnificent creatures before we have lunch on the banks of the East Alligator River. 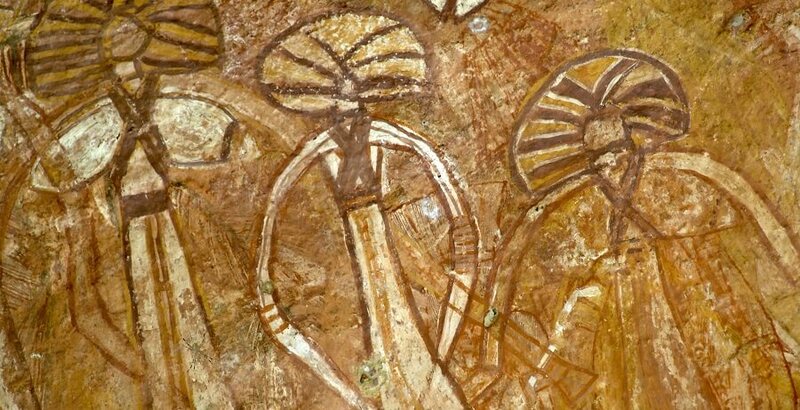 Afterwards, we’ll enjoy the rich history of the region at Nourlangie Rock, which is home to some of the oldest rock paintings on the planet. 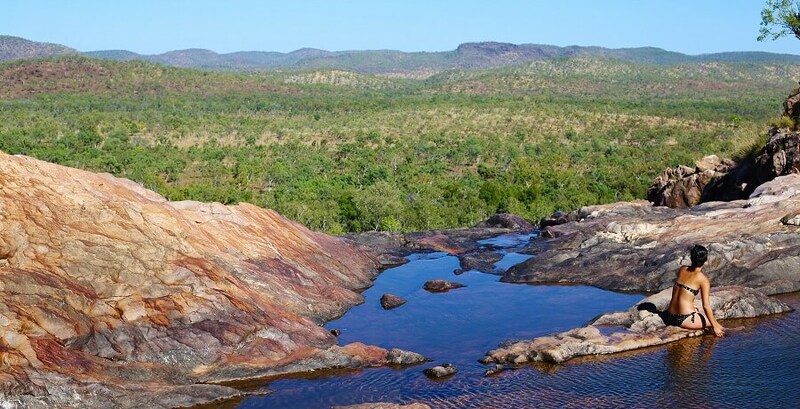 Then it’s on to Gunwhardewharde lookout to gaze at the sweeping scenery below before a peruse around the Warradjan Cultural Centre to learn more about the Aboriginal heritage of the park. We end the day at Mardugal Safari camp with a traditional Aussie BBQ before camping under the stars. 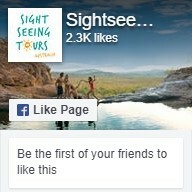 The second day of our 2 Day Kakadu Tour kicks off with a visit to Gunlom Falls or Yurmikmik. We’ll take a walk through the picturesque scenery, finishing up at the plunge pools where you can take a refreshing dip. 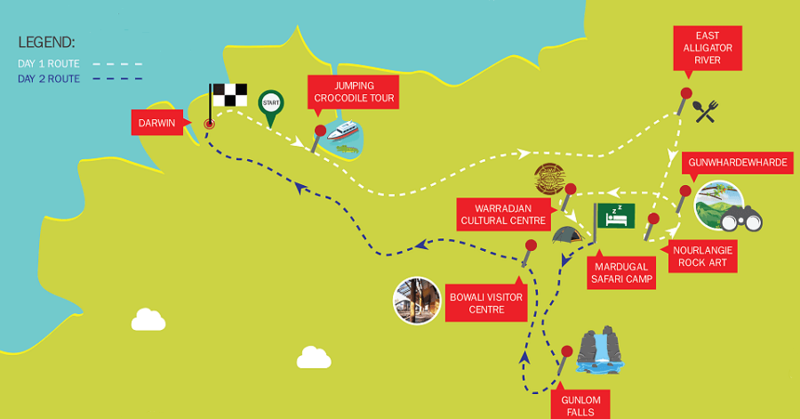 Next, it’s on to the Bowali Visitor Centre before we make our way back to Darwin where the 2 Day Kakadu Tour ends.